Details: The community purchased land and applied to NAFA for funds to build 4 classrooms for nursery to grade 3. Previously students attended classes in an old dairy building which was not big enough for the number of students, it was very old and beginning to crumble. Outcome: The application was part approved at the NAFA meeting for the construction of 2 classrooms in a joint funding with Non Residents Nepalese Assoc. (NRNA). 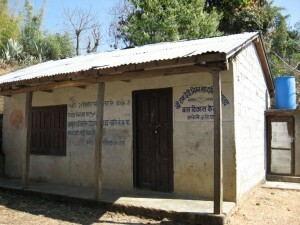 The Nepal Project Coordinator visited the school in mid December 2011 and early 2012 to view the construction of the school and provide an update on the project. 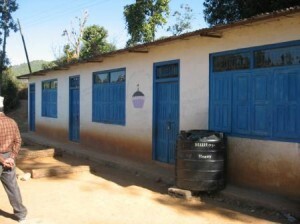 The project was progressing well and so in Dec 2012 the school applied for additional funding to complete this pre school. In January 2014 a final inspection was made of the school by the NAFA project coordinator. The school now has three classrooms fitted out with small tables and mats for the young children making it a friendly environment for learning.